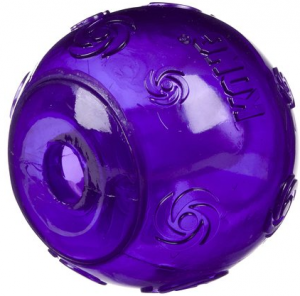 The Kong Squeezz Ball is a tough rubber toy which is great for games of fetch. It has a recessed squeaker which induces play. The erratic bounce and squeak guarantee tons of fun for you and your dog. Colour may vary.